It seems incredible to conceive how big the entertainer Michael Barrymore was in his heyday. He was the undisputed king of Saturday-night television until 2001, when he was involved in a high-profile scandal from which his career never recovered. 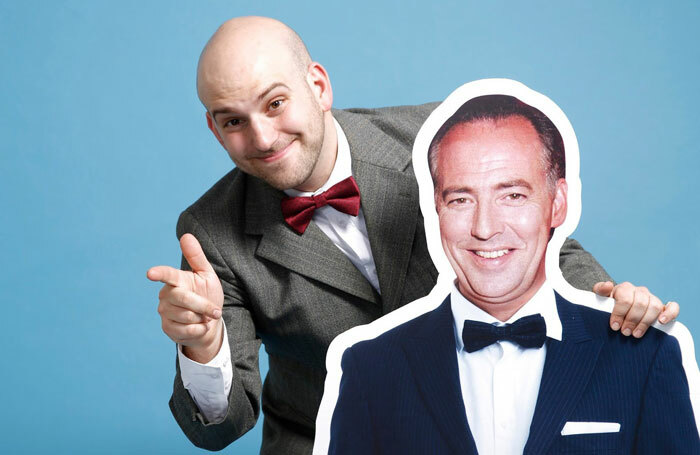 Writer and performer Nick Cassenbaum recalls his childhood hero in My Kind of Michael, detailing how Barrymore’s unique style of comedy impacted heavily on his own development as a performer. Paying tribute to the game-show format, there’s more than a little nostalgia in Cassenbaum’s story, compounded by jaunty music from Andy Kelly on the keyboard. The audience names its childhood heroes and places them on the Celebri-tree and volunteers are called on stage to assist in the storytelling process. Barrymore’s shtick was to put the public in the limelight in such runaway successes as My Kind of People, and they loved him for it. Here, the formula is less successful. The amusing but repetitive interruptions interfere with the pace of Cassenbaum’s tried-and-trusted storytelling technique. There’s an over-reliance on props and far too many segues to do justice to either story. Cassenbaum’s admiration for Barrymore is obvious and understandable but this piece lacks the narrative clarity of his show Bubble Schmeisis last year.